(CNN) - At first sight, it looks like a silver fern, the traditional emblem of New Zealand. But a closer look reveals the frond of the fern is formed by 50 silhouettes of Muslims in various stages of prayer. 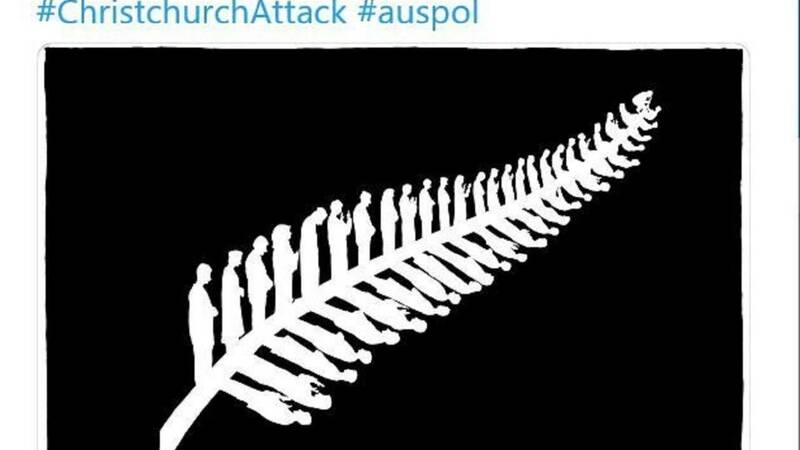 This is the compelling tribute that Pat Campbell, a cartoonist for Australia's Canberra Times newspaper, drew in memory of the 50 people killed in the Christchurch mosque mass shootings. "Initially I drew 49 figures. When the number was revised to 50, I added another silhouette," said Campbell. Over the past week, the illustration went viral on social media, with people praising it as "hauntingly beautiful" in its simplicity. Campbell said he has friends from Christchurch and has been there a number of times. "The city has just been recovering from devastating earthquakes, so for this to happen is terrible," he added. "I thought of the fern, an important symbol of New Zealand, it's form naturally lending itself to a representation of people. From there it was a short step to depicting the victims as they prayed," he said. The cartoonist said he didn't expect the drawing to go viral. "The response has been humbling. As you can imagine, it is a bittersweet experience," he said. "Many people have told me how the image has touched them, or given them solace, or reassurance that the wider community cares," he added. "That's been a sad but wonderful reward."